New book, 176 pages. This second book in our much acclaimed series has been out of print for over a year. 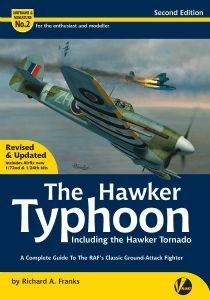 With new Typhoon kits now available in 1/72nd and 1/24th scales and with a 1/24th scale ‘Car Door’ version coming from Airfix in 2016, it seemed right to make this book available once again. Updated and revised - now 176 pages! In addition to the original contents it contains: Extra pages of walk-around images and technical diagrams, Extra 1/72nd full kit builds by Steve A. Evans of the Brengun and new-tool Airfix kits. These have been specially commissioned for the book. A specially commissioned build of the 1/24th scale Airfix kit by Daniel Zamarbide. An extra 48 pages of content in total. 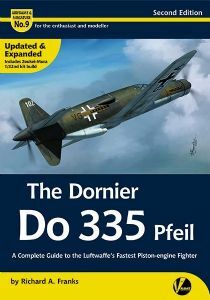 Specially commissioned new front cover artwork by Jerry Boucher.The Hawker Typhoon first edition content: 128 pages packed with vital information that no active aviation modeller should be without:- 40+ pages of technical information, 20+ pages of walkaround images and technical diagrams, 5+ pages of camouflage and markings, 25+ pages of model builds and modelling information, 200+ photographs including wartime images, Colour side views and four-views by Richard Caruana, 3D isometric views of all variants by Jacek Jackiewicz, 1/72, 1/48 and 1/32 scale full kit builds, A full set of fold-out 1/48 scale plans. This item was added to our catalog on Wednesday 29 March, 2017.